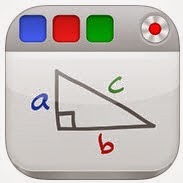 Educreations is an app that I put on my iPad last year, but deleted it after thinking that it looked too much like math J. A few weeks ago a fabulous special education teacher showed me all that she did with the app and I had the need to take a second look. A Google search for Educreations provided me with links to math and chemistry tutorials, but searches for Educreations plus kindergarten and Educreations plus speech therapy gave me links to many activity ideas for speech and language therapy. Educreations is a screen-casting tool. It records everything that happens on the screen along with the audio. One IMPORTANT thing to know about Educreations is that it is very easy to share a screen-cast with parents through email. Tara, the SpeechyKeen SLP uses this app to wrap-up a session with upper-elementary and middle school students. Educreations is a motivating way for her students to give a review of the lesson, demonstrate what they've learned, and share with parents. Visit her post to learn more! Describe pumpkins or anything else. Visit my description of the pumpkin that I drew here OR even better, listen to a kindergarten student describe his "army ant" at EdTech in Action - Exploring Educreations in Kindergarten. At Word Work with Educreations by Natalie Keenen, one teacher tells how her students take pictures of themselves or an object in the room and put describing words all over their photo while recording themselves saying the words. 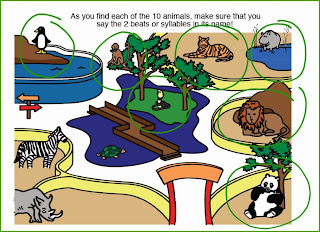 You can do so much with this app when working on speech sounds. I save articulation activities from sites such as Ms. Lane's SLP Materials and Adventures in Speech Pathology in my iBooks. Simply open the activity and take a screenshot so that you can add it to Educreations. Students can practice the activity and you can email the samples of work to parents. See my two examples* (wait for the second page) by clicking here. Take photos of your articulation pictures or activities and add them to Educreations. ICT with Mrs. C has several good ideas that could be adapted to be used with many speech and language objectives. Scroll down the page at Lone Mountain Elementary School to hear students retell the story Go Away, Big Green Monster! by Ed Emberly. I like Storytelling: Minus the Writing at mattBgomez, Kindergarten Teacher. Educreations can be used as a writing or drawing tool during barrier games. Check out Eggs-actly Descriptive Game Cards at In Spontaneous Speech. Read how the SLP at peachy speech used Educreations to teach monthly themes in the areas of social skills and language. Here is a link to a 10 minute tutorial made with Educreations that tells about all of the features of Educreations. 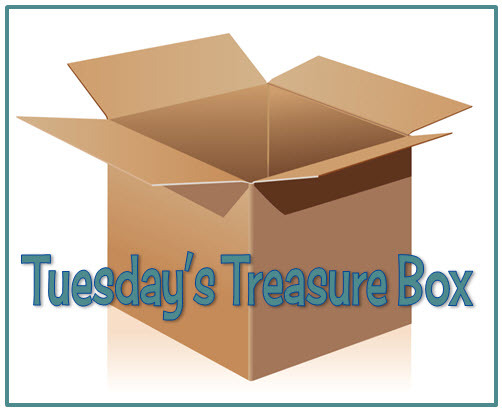 I hope that you enjoyed my Tuesday's Treasure Box! If you have used Educreations and have more ideas, please share by leaving a comment.